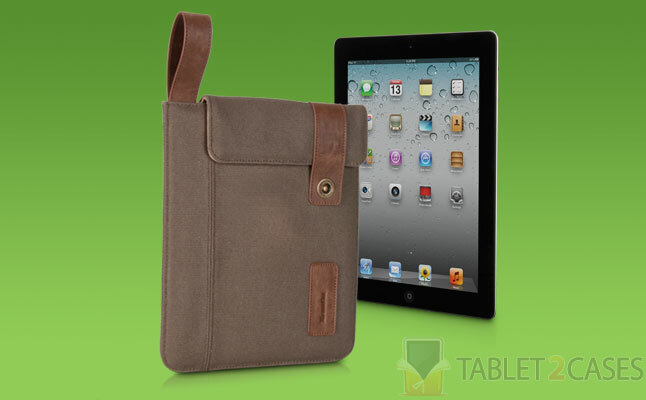 Vintage Sleeve from xTremeMac is a classy tablet sleeve designed specifically for the new iPad. The new case is made from highly durable waxed canvas fabric material and will protect the tablet inside from minor bumps and bruises. Interior side will treat your device with extra care to avoid scratching. The new iPad case is not only highly stylish offering unique retro looks, but is functional as well. An interior pull-tab provides quick and easy access to the tablet, while a one-of-a-kind snap closure keeps the sleeve firmly shut when not in use and the device securely locked inside the case. The new case also features a subtle hand strap to provide another convenient way to stroll around with the sleeve. The unique combination of durability and minimalist retro design is bound to attract many iPad owners looking for a simple, yet practical solution to their tablet protection needs.